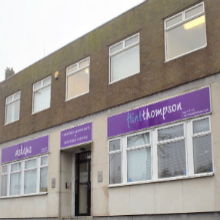 Flint & Thompson takes the protection of your privacy very seriously. We will only use your personal information to deliver the services you have requested from us, and to meet our legal responsibilities. By using this website you accept our privacy notice. Keeping your information up to date and accurate is important to us. We commit to regularly review and correct where necessary, the information that we hold about you. If any of your information changes, please email or write to us, or call us using the ‘Contact information’ noted below. You have the right to ask for a copy of the information Flint & Thompson holds about you. The following section explains what cookies are, which ones are collected by our site and how they are used by our website. This site uses anonymous cookies – small text files that are placed on your machine to help the site provide a better user experience. On this Website, we do NOT record, save or process any personal data except for data used if you decide to voluntarily use the Contact form. In which case you accept the conditions of this Privacy Notice and voluntarily send your name and email for us to process in accordance with this privacy notice.